I’m a big fan of matching sets reminiscent of the 1960’s, especially anything Doris Day or Jackie O wore! 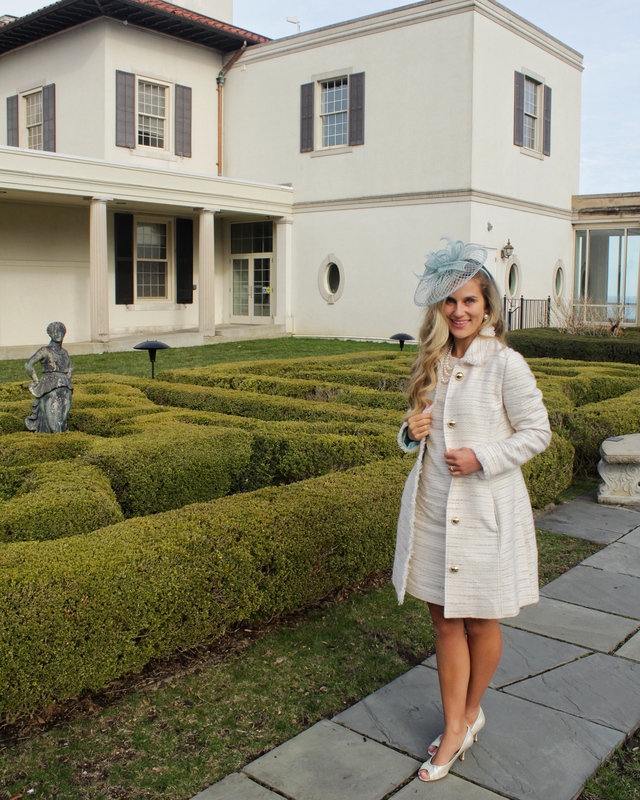 You can see from my favorite past Easter outfit that I love coordinating separates with vintage flair, and my favorite material to do so in is spring tweed. It is not an easy task to find a modern day outfit with this classic style, and vintage clothes don’t always fit so well, so when I see a coordinating tweed outfit set I fall in love. Sail to Sable is known for its classic, yet fun style and I have a few pieces from them that I love. Everything from them is always incredible quality and made to last. The material is thicker, buttons and zippers aren’t flimsy, and there is extreme attention to detail on every garment. Anything bought from there has staying power both in quality and design. I can’t help but feel like a 1960’s movie star when wearing this outfit. The tweed and fringe details gives the outfit a nice texture, and I love the color of the lining! The dress itself has some really pretty feminine details. I love wearing the set together, but will definitely be wearing both the coat and dress on their own as well. 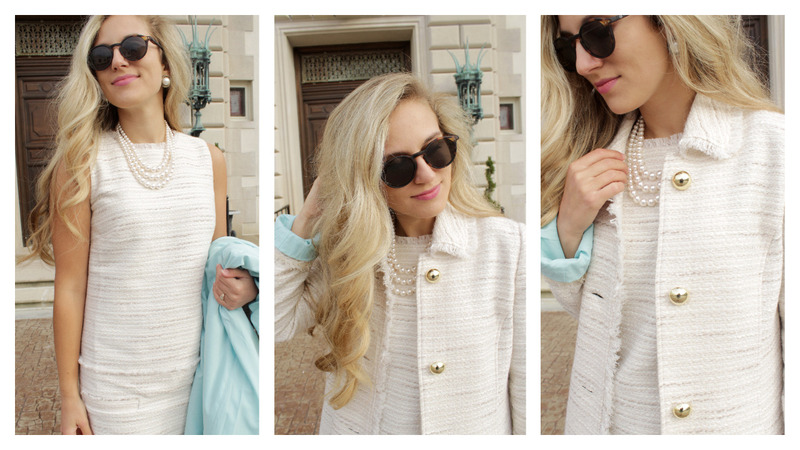 Check out Sail to Sable to see what other cute styles they have for the spring season!